BP is one of the world’s leading international oil and gas companies, providing customers with fuel for transportation, energy for heat and light, lubricants to keep engines moving, and the petrochemical products used to make everyday items as diverse as paints, clothes and packaging. Main switchboard for BP Port Hedland terminal as part of the electrical upgrade was designed and manufactured by Dara Switchboards. Due to the extreme weather conditions in the area the switchboard is made tough to perform cooler with sunshields on all sides of the board. During the last 7 years, the team here at DaRa Switchboards have established ourselves as one of the leading switchboard manufacturers in Australia. Through hard work, innovative and reliable products, and a customer-focused approach, we’ve earned an enviable reputation for providing high quality switchboards in Australia, and world-wide. We’re proud to be a key supplier to around 10 major multi-national companies, including BP, one of the world’s leading oil and gas companies. When we were asked to design and manufacture the main switchboard for BP Port Hedland Terminal, the largest oil industry storage facility in Western Australia, we were understandably excited. After all, we are passionate about designing and manufacturing products that really make a significant difference. BP spent approximately $45 million on the upgrade, which included a new higher volume loading gantry to complement upgrades to the electrical system, higher capacity pumps and loading infrastructure. As part of the electrical upgrade for BP Port Hedland, we were asked to design and manufacture the main BP switchboard to their exacting specifications. During the process, we had to consider the extreme weather conditions in this area, and build the switchboard with sunshields on all sides of the board in order to keep it cool and maintain optimum performance. 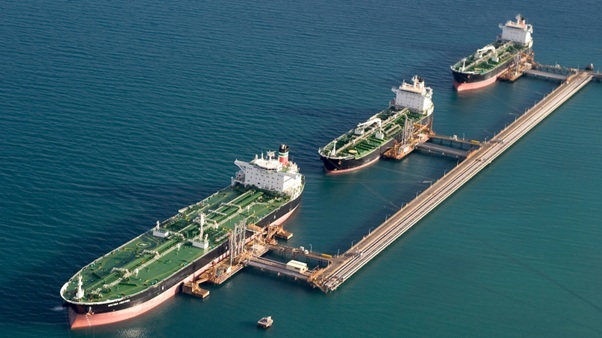 Following all the upgrades to the Port Hedland fuel terminal, BP reported a 40% cut in loading times and greater flexibility. We’re just glad to have played our part by providing the main switchboard for the upgraded terminal. Our aim is always to provide the very best products, combined with the very best in customer service. We’re not only an ISO 9001: 2008 accredited company, but also have accreditation from original manufacturers such as CUBIC and ELSTEEL, together with Legrand LX3 accreditation. And, as members of the National Electrical Switchboard Manufacturers Association and Clean Energy Council of Australia, you can feel confident that our stringent quality procedures, attention to detail, and commitment to customer service will ensure that you’ll get a reliable and cost-effective system that really works for you. As a major supplier of custom switchboards in Australia, we design, manufacture and distribute our world-class products both Australia-wide and internationally from our purpose-built Melbourne facility. In addition to BP, we’ve supplied our products to companies and organisations such as Tesla, Puma Energy, Citipower/Powercor, Origin Energy, Energy Australia, NHP, Legrand, and the Australian Government Bureau of Meteorology. If you need any further information or would like to discuss your custom switchboard requirements, our sales and engineering team are here to help. Call 03 8544 3300, send an email to info@dara-switchboards.com.au or complete our online contact form and we’ll get back to you as soon as possible.